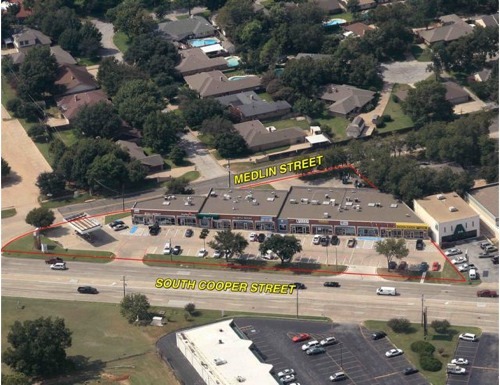 Cooper Medlin is located north of the intersection of Cooper Street and Medlin Drive in Arlington, Texas. Cooper Street is a highly-traveled main artery, bringing a high traffic count to the center. Tenants include Kinny’s Food Store, Beverly’s Florist, a Mexican café, a dentist and other neighborhood services.